There are multiple definitions of what actually constitutes "Tokyo". The Metropolis of Tokyo, bordered on the east and west by the Tama and Edo rivers, is home to some 13 million souls whereas the Tokyo Metropolitan Employment Area swells to an eye water 35 million. Then again the classic "23 Wards of Tokyo" supports a trifling 9 million, just a little more than London. But there are a lot of rivers running through it whichever you look at it. And most are fairly short. Actually some are very short. The sunken Shibuya River is about to see the light of day again in the current redevelopment of this central area of Tokyo. Formed by the confluence of the Onden and the Uda rivers underneath the feet of the shoppers of Hachiko Crossing, it flows a mere 2.5km before emptying into the Furu River which in turn empties into Tokyo Bay. Much of it is now nothing more than a backstreet storm drain, itself due for a refresh over the next few years bringing public access for the first time in more than half a century. But it is the signatures of the Onden and Uda rivers that are today hidden in plain sight to those walking the streets of Shibuya. When you walk along Center-gai you're actually walking along the path of the Uda river and when you stroll the fashionable boutiques of Cat Street, you're retracing the waterwheels of the Onden. 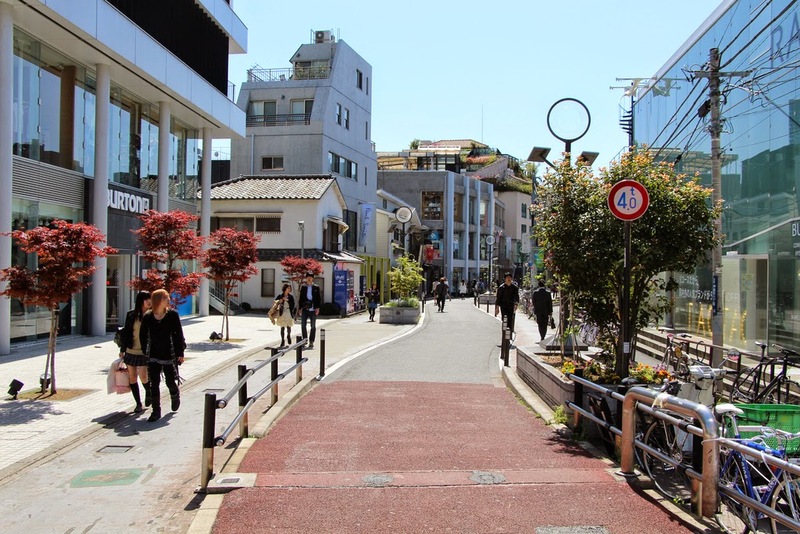 Tokyo is criss-crossed by hidden waterways that lost out in the battle for concrete and modernisation. And so the rivers of Shibuya became the forgotten victims of the 1964 Olympics. That is until today.